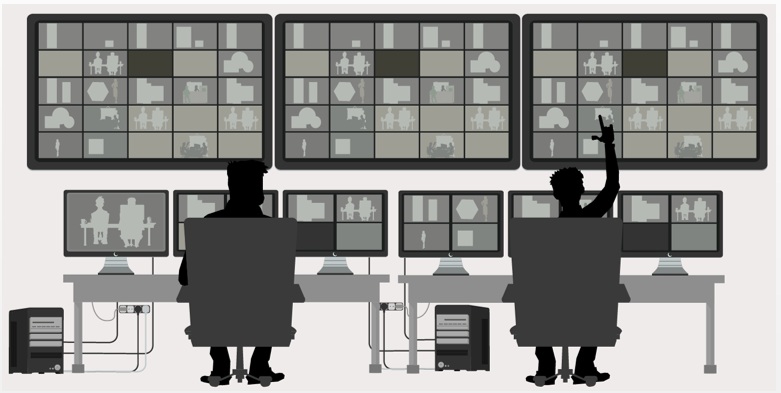 visWallallows user to real-time control videowall by powerful user interface & tools. Web application use web browser to control e.g. IE, Firefox. Source library keep your sources/input in folder sturcture. Template template, layout and snapshot can be saved and reload it later for quick launch. Layer create layer (unlimited) on display area, and can be adjust size, position by drag & drop , create layer 10 windows on a monitor display with input source VGA / DVI / HDMI or composite Video. Playlist create playlist to display on videowall layer. Snap to grid visWallhas virtual grid that help user to create template faster and more accurate. Ticker text ticker text with logo can be created from viswall with different speed, font, size, direction (left, right, up, down). External control manage from external devices with RS232, LAN or wireless lan from devices e.g. tablet PC, iPad. User management new user can be created with different permission to the system. LDAP interfacing also available for single sign-on system. 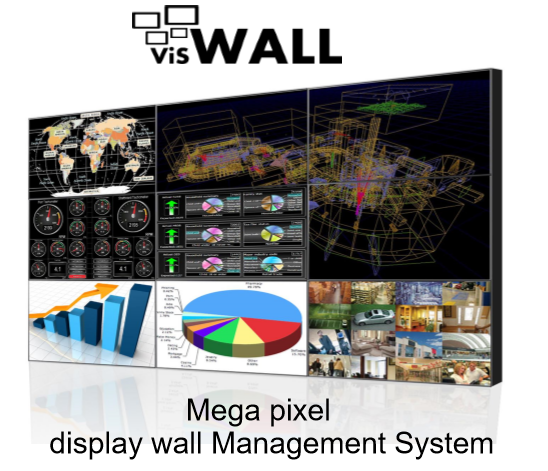 Management support visWall have Application Program Interface (API) control for Touchscreen control , Touchscreen Panel (PC) , AMX , KRAMMER , IPAD , IP Phone , Android Tablet , Android Phone. 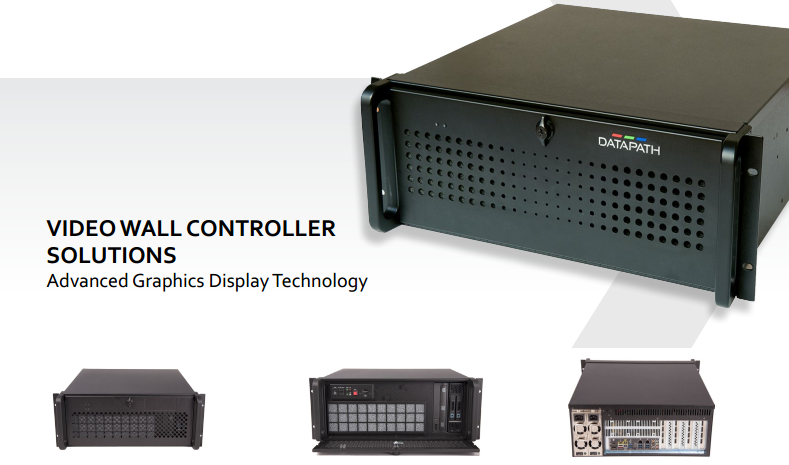 Datapath’s VSN450 is a video wall controller designed for video wall and multi-screen display installations that require a balanced number of HD video captures and HD video outputs. The VSN450 has been developed and optimised to operate with the latest generation of our world leading Datapath PCI Express graphics and video capture cards providing flexible solutions throughout the professional AV industry. The VSN450 has a ASUS motherboard to provide flexibility and suitability for the smaller, more compact, video wall project. 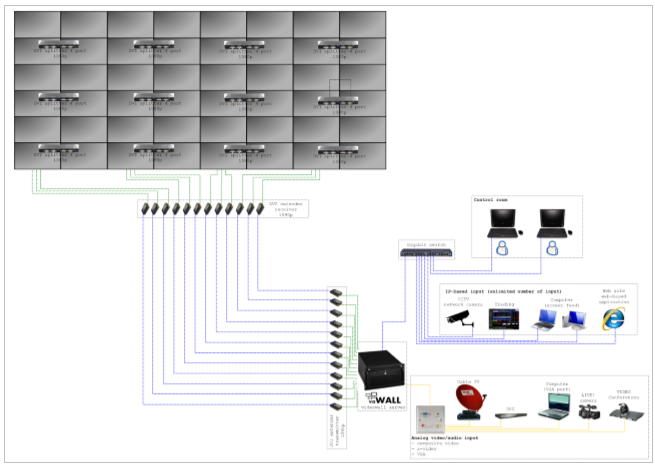 The VSN450 is fully compatible with Datapath Wall Control software, a Microsoft Windows® based application enabling easy configuration and set up of your video wall controller. The VSN450 wall controller uses a high quality ASUS motherboard providing a high level of reliability. In addition, air flow management is optimised through the fan and chassis build. Asus motherboards are EU Energy-related Products (ErP) ready, which requires products meet high efficiency standards with regards to energy consumption. One box. Four outputs. Millions of possibilities. Advancements in digital signage allow much greater freedom in creating and deploying any scale signage projects. At the forefront of this is the Datapath Fx4, a multi-faceted stand alone display controller. The Fx4 supports a choice of inputs, high bandwidth loop-through as well as 4 genlocked outputs in either DisplayPort or HDMI. The Fx4 features a DisplayPort1.2 main input alongside two HDMI1.4 inputs offering either 4k 4096x2160p at 60fps or UHD 2160p at 30fps respectively. The intuitive user interface allows users to determine which input is used. Each output monitor can take its input from any region of the input image as all of the required cropping, scaling, rotation and frame-rate conversion is handled by the Fx4 hardware. These regions can overlap to allow any output to replicate another or can be configured to support any creative splice of the source material. This allows the support of many non-rectangular screen arrangements, as well as any mix of monitor orientations allowing users to create an almost unlimited multi-monitor canvas. The Fx4 also allows users to pre-load an image for immediate display in those cases when the media source or cables malfunction and no signal is being received. The ImageDP4 combines a single, powerful graphics processor with improved memory and PCI Express bandwidths to provide responsive performance at up to double the resolution of previous Datapath graphics cards. Advanced display technology allows up to 16 ImageDP4 graphics cards to be supported by the Datapath display driver, providing a high resolution Windows® desktop comprising up to 64 screens. 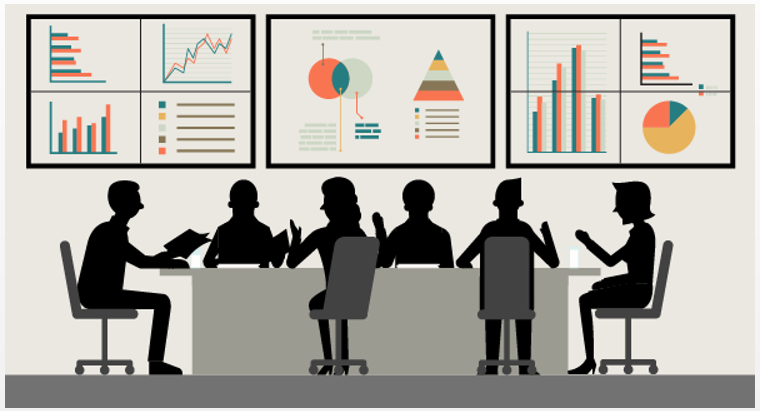 This ability to present standard Windows® applications alongside full frame-rate video on a single high resolution desktop allows the visualisation of large amounts of data at once to aid effective decision making. To complete the integration into a single desktop, all the outputs of the ImageDP4 graphics card are automatically frame-locked across all cards within a system. Datapath’s Vision range of capture cards provide a variety of high or standard definition capture capabilities as well as audio in some models. Video capture modes supports include single or dual-link DVI, 3G-SDI, HD-SDI, RGB, Component YPbPr, Composite video and S-video. Datapath products have been developed for a wide range of applications such as video streaming, medical imaging, video conferencing, machine vision, display walls and video walls. 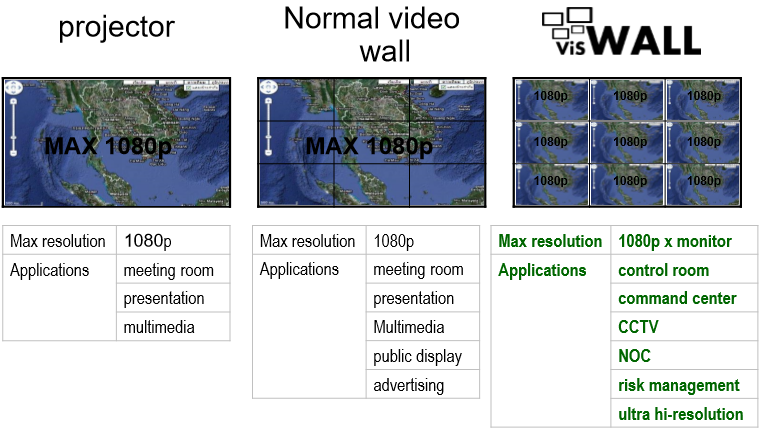 Whether you are looking for video capture for streaming, recording or presentation applications Datapath has a solution. The Vision range of capture cards include the VisionHD2-SQX, VisionDP2, VisionHD4, VisionAV-SDI, VisionAV-HD, VisionAV, VisionDVI-DL, VisionSDI2, VisionSD8, VisionSD4+1, VisionSD4+1S, VisionRGB-E1, VisionRGB-E1S, VisionRGB-E2, VisionRGB-E2S and VisionRGB-X2. Collectively the Vision family allow the capture of video and audio sources including Composite video (PAL, NTSC, SECAM and S-Video), HD up to 1080p (HDMI and Component), Serial digital interface (SD-SDI, HD-SDI and 3G-SDI), PC Graphics (DVI and analogue RGB), Dual Link DVI, DisplayPort1.2 4k at 60 fps, analogue audio, digital audio and provide an analogue line out pass through option for audio sources. This entry was posted in Products, Solutions & Services, VideoWall and tagged Datapath Capture Card, Datapath Video Controller, VisWall Next Generation Display Wall / Video Wall & Controller Solution. Bookmark the permalink.